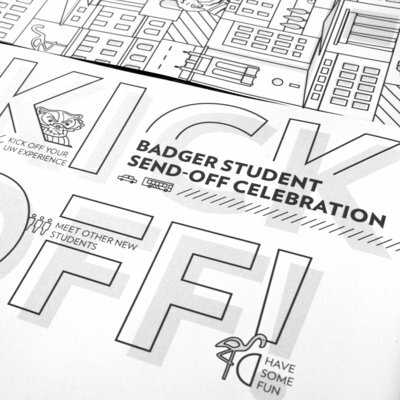 Badger Insider Publication | Christie Evenson Design Co. 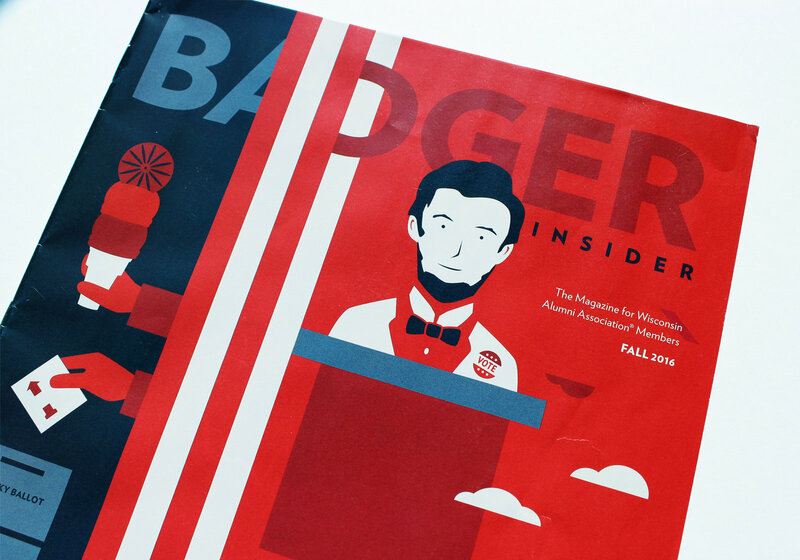 This cover illustration, for Badger Insider magazine, was inspired by a featured article and the upcoming presidential election in 2016. 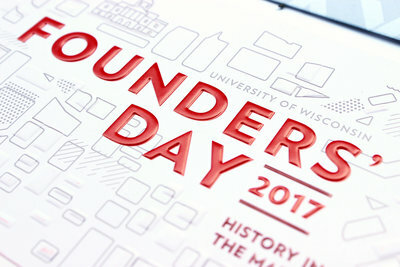 The article presents results of voters for many aspects of the UW campus and experience, each represented in the illustration. 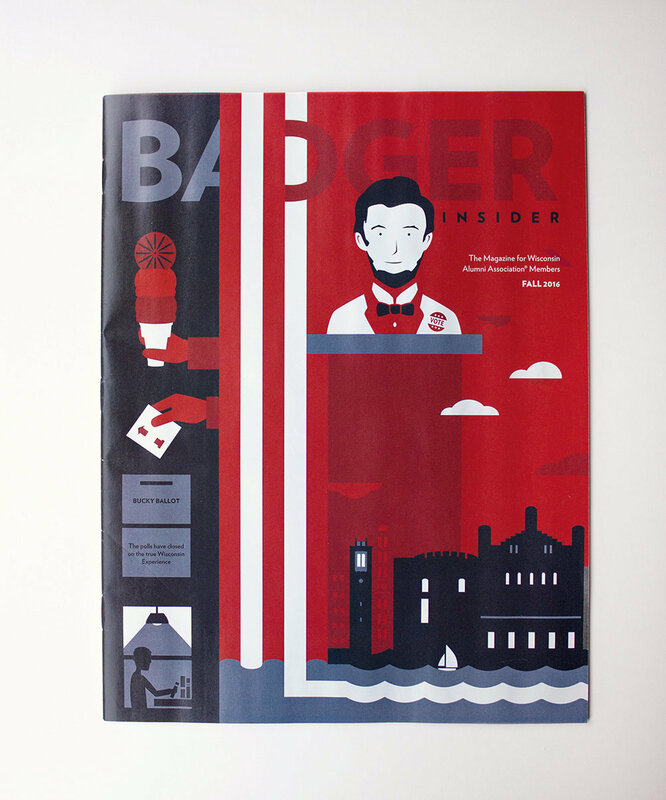 The design uses the university’s main color red with a blue accent to portray the patriotic spirit of the article. 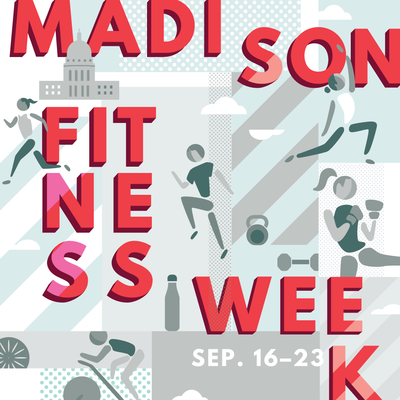 Using negative space I designed the piece to flow from one scene to another, ballot box to dorm windows, Babcock ice cream cone to union chair, voting curtain to city buildings and waves. The second cover illustration is based on the feature article about how foxes are continually moving more into urban areas. 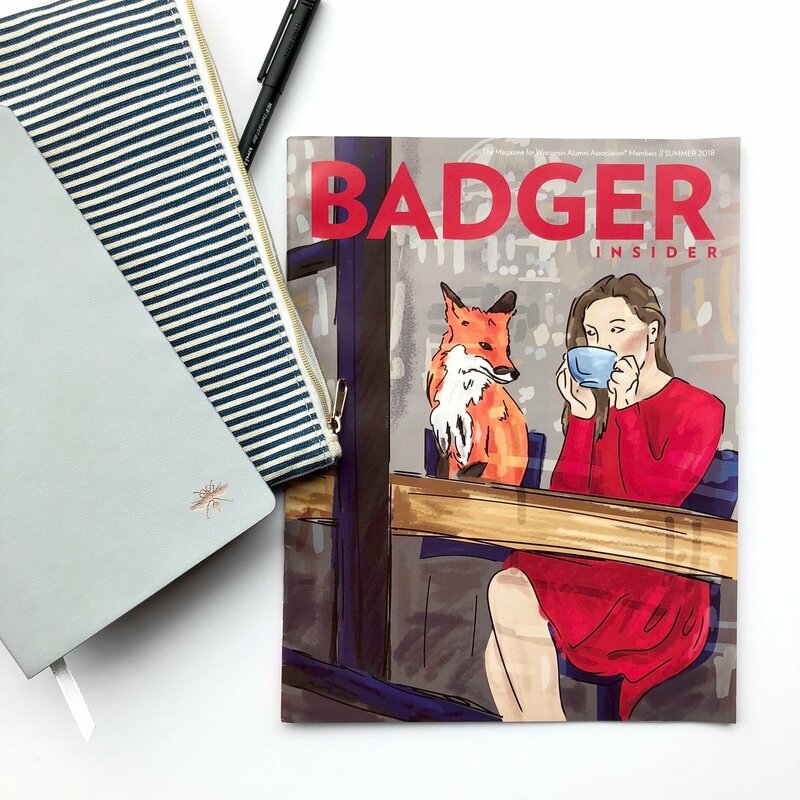 The illustration takes this concept to a playful level, personifying a fox sitting next to a woman in a coffee shop.